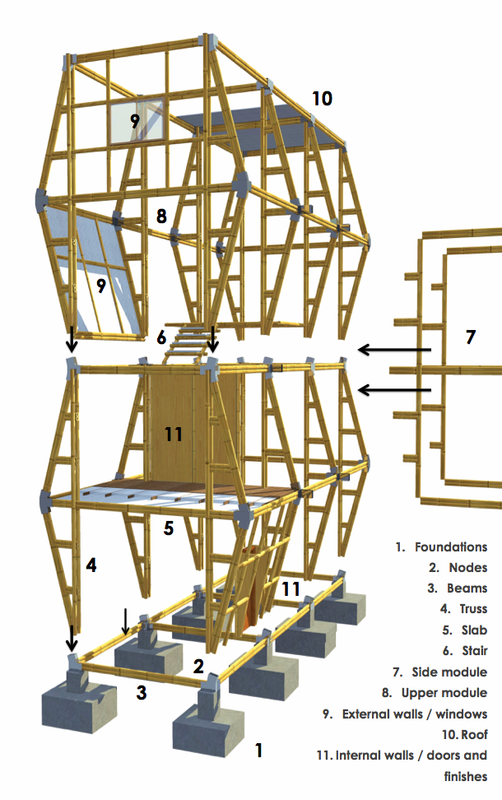 ....The project represents the challenge of the invention of a construction system, which can operate in a modular way to provide a housing solution. 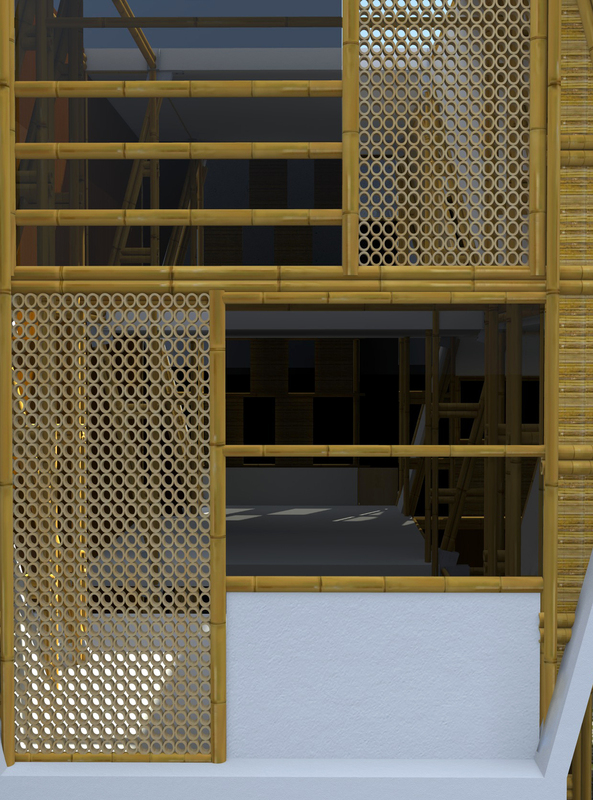 Guad-Hex emerges as a progressive housing alternative, based on bamboo as its main material, for its environmental and economic benefits. ....It is conceived as a frame structure of guadua hexagonal modules, with the option of growth up to 3 modules in vertical. The system consists of truss elements that give shape and rigidity to the module and transmit structural loads to the ground. In addition, its shape is adaptable to topographical slopes through terraces and stacking. Click aquí para información técnica sobre el funcionamiento del sistema Guad-Hex. Resulting from this construction system, a proposal for multifamily housing was made, through the assemblage of hexagonal volumes that generate interaction with terrace areas and provide formal and functional quality to the site. .. Partiendo de este proceso de construcción se realizó una propuesta para edificaciones de vivienda multifamiliar, a través del apilamiento y desplazamiento de volúmenes hexagonales, buscando generar interacción con áreas de terraza y generarle calidad formal y funcional al recinto. 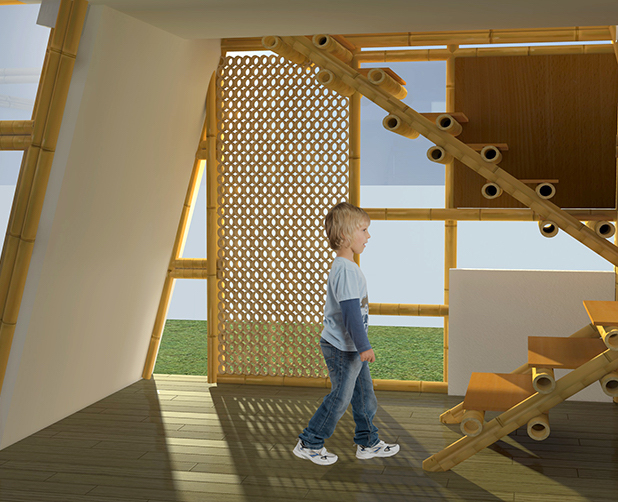 ....Guad-Hex is applicable for single-family residences also. Below, a proposal of paired housing, with the possibility of construction in phases, allowing the growth of new rooms and multifunctional areas according to the needs of the user.